Melbourne, Australia & New York, USA: Fluence Corporation Limited (ASX: FLC) (“Fluence” or the “Company”), is pleased to unveil its Aspiral™ family of decentralized, smart packaged wastewater treatment solutions, based on its innovative Membrane Aerated Biofilm Reactor (MABR) technology. Fluence MABR is a spirally wound, self-respiring membrane that provides aeration for the wastewater process and functions as the biological reactor. 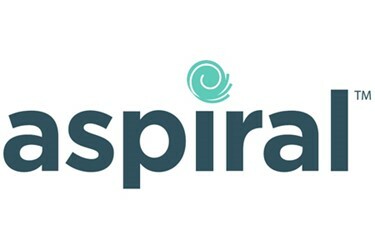 The Aspiral is a modular solution that reduces aeration energy consumption by up to 90% as compared to conventional wastewater treatment methods, making it ideal for small- to medium-sized installations serving small towns, villages, residential communities, resorts, hotels, and commercial complexes, among others. The Aspiral family of solutions offers several sized models, with treatment capacities per unit ranging from 20-350 m3/day (5,200- 92,000 GPD), depending on effluent requirements and design temperature. Additionally, containers may be connected in parallel to handle larger effluent flows. The Aspiral™ L3, which treats up to 300 m3/day (80,000 GPD) of raw municipal wastewater, is equipped with all internal air and wastewater piping and arrives ready for fast installation and start-up. The Aspiral™ S1 and M2 models treat up to 50 m³/day (14,000 GPD) and 115 m3/day (30,000 GPD) of raw municipal wastewater, respectively, and include internal clarifiers, integral pre-treatment screen and arrive fully equipped and ready for fast installation and start-up. Additionally, the systems have been designed and field tested to produce Class 1A (China) and Title 22 (US) quality effluent for reuse through an enhanced nutrient removal process, can be monitored and controlled remotely, require minimal maintenance and are designed for future expansion due to their modular nature.